All Tech Heating & Chimney Service technicians have been providing Victoria, BC with traditional wood burning solutions for over 10 years. Our wood burning fireplaces, inserts and stoves offer warmth, character, ambiance and add an inviting focal point to your home. We work closely with you to select the wood fireplace best suited to your home and taste. ​Our commitment to supplying quality wood fireplaces combined with honest, reliable sales and service has provided a framework to ensure long term family safety and enjoyment. Believers in outstanding product development and design excellence, we carry a large array of wood burning fireplaces, stoves and inserts with styles to suit the most contemporary to the very traditional, and every home in between. Give us a call today to talk to one of our knowledgeable technicians regarding your next wood burning fireplace, insert or stove. 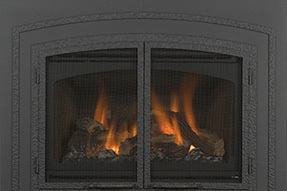 ﻿No other hearth manufacturer in North America has perfected the art of Wood Fireplaces to the level that Napoleon has. 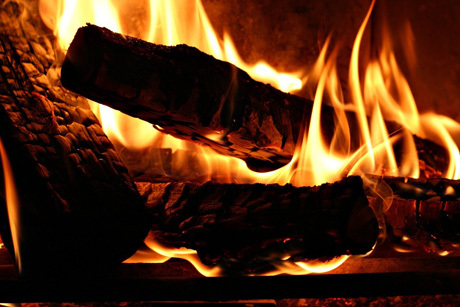 Years of research, strict quality testing and innovative wood burning technology provide you with the cleanest, most efficient wood burning products. ﻿﻿﻿We take great pride in producing a wood fireplace that exceeds our customers’ expectations. We believe that quality people produce quality products, and it is the quality craftsmanship that goes into each Archgard product that allows us to offer a Limited Lifetime Warranty.